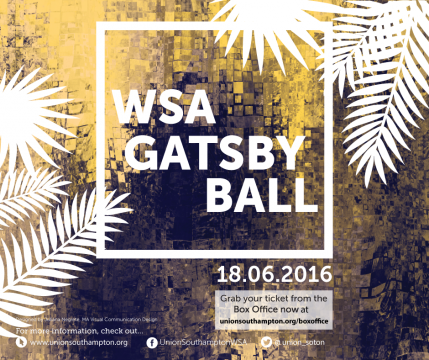 We’ll take you back to the decadence of the 1920s, by encouraging you to dress in Great Gatsby-style finery, before inviting you to soiree to a live headline performance from swing sensations, Elle and the Pocket-Belles. Capture the evening with snaps taken at our photo booths which we will post to our Facebook page following the event for you to keep. We will be giving away 50% off Domino’s vouchers for you to enjoy for some after-party munch. >>Get your tickets now for just £20 each from www.unionsouthampton.org/boxoffice. See who else is already going here. « Advice Centre: Hand-ins and exams didn’t go so well?